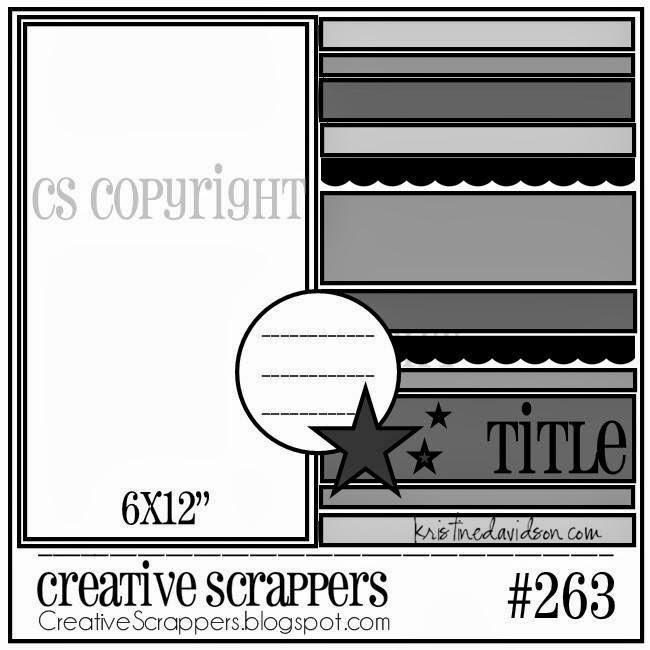 We have a new sketch for you at Creative Scrappers today! I hardly use photos on my layouts this big, so I loved to get challenged to give it a try. Our sponsor this month is Chic Tags! 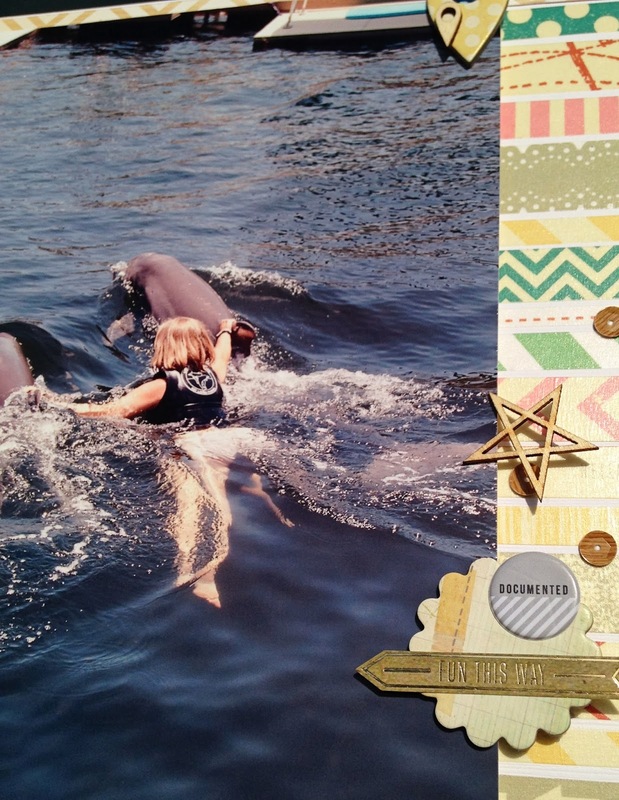 I chose a photo of my dolphin swim on Key Largo a couple years ago. 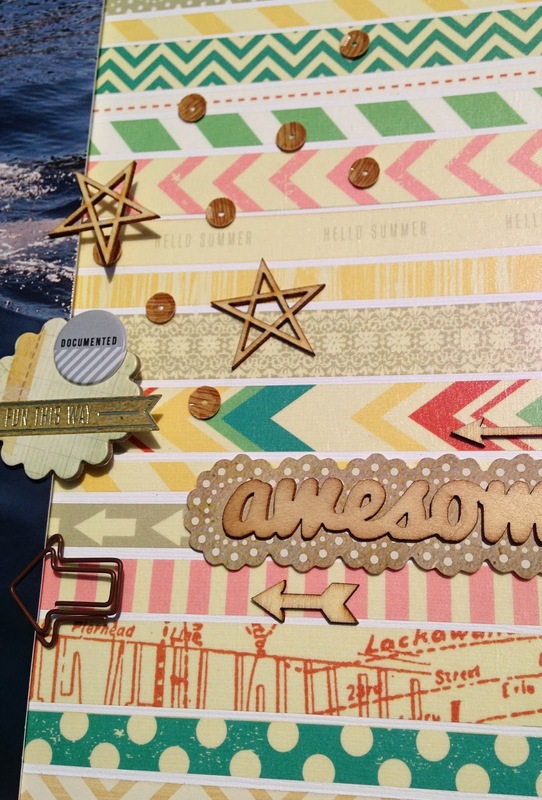 For the strips on the right side of the page I went for the washi strips from the Crate Paper The Pier collection. I hope you feel inspired by this sketch too and you'll give it a try to use a photo of this size on your page. Be sure to link up your take on the March sketches over at Creative Scrappers for your chance to win a $30 worth prize pack from Chic Tags!! I'm sure you don't want to miss out on that! Gorgeous!! LOVING the photo and the wood bits!!! This is awesome Danielle...that pic is FAB too!! Love that photo, and you did a great job with the sketch! I love all the different patterns you used! So pretty. 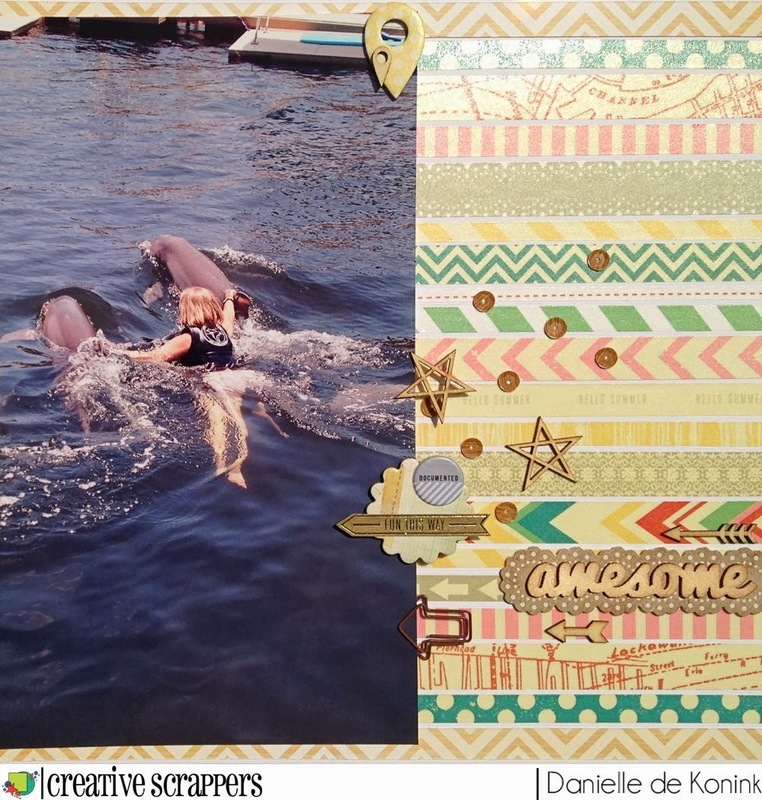 Great photo Danielle, and I love the mix of patterns you used on the side of your layout! What a great photo, awesome opportunity you had for sure. Great layout too Danielle. Nice! I love the all the detail on the right side - but the picture is WOW!